May all the sweet magic of Christmas conspire to gladden your heart and fill every desire you have! 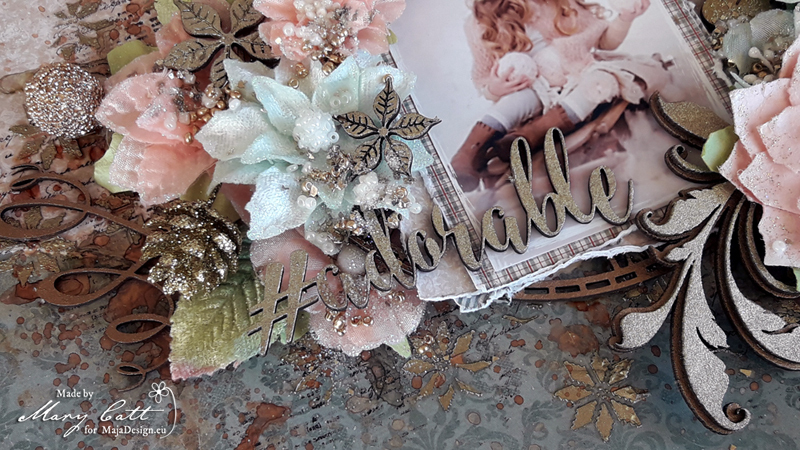 Mary here with you today and I have a new layout with a video tutorial to share with you made for my December inspiration. 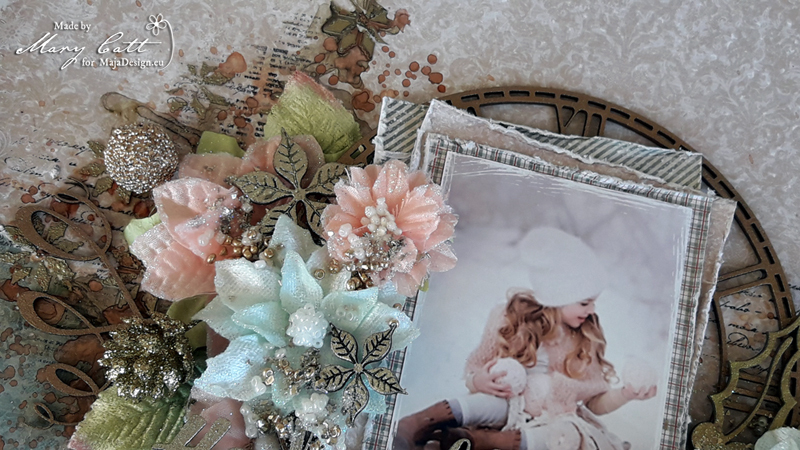 A soft christmasy page created with some gorgeous papers from the new ”Christmas Season” collection. I have also prepared a VIDEO TUTORIAL so you can watch all the details. As you may already know, I love searching on Pinterest to find photos to scrap and this time I came across with that amazing photo. But, before I continue more I want to give all the proper credits to the ”unknown” photographer. My main paper is the ”Greeting Cards” and I made a layer on it with the ”Mistletoe Green” paper. 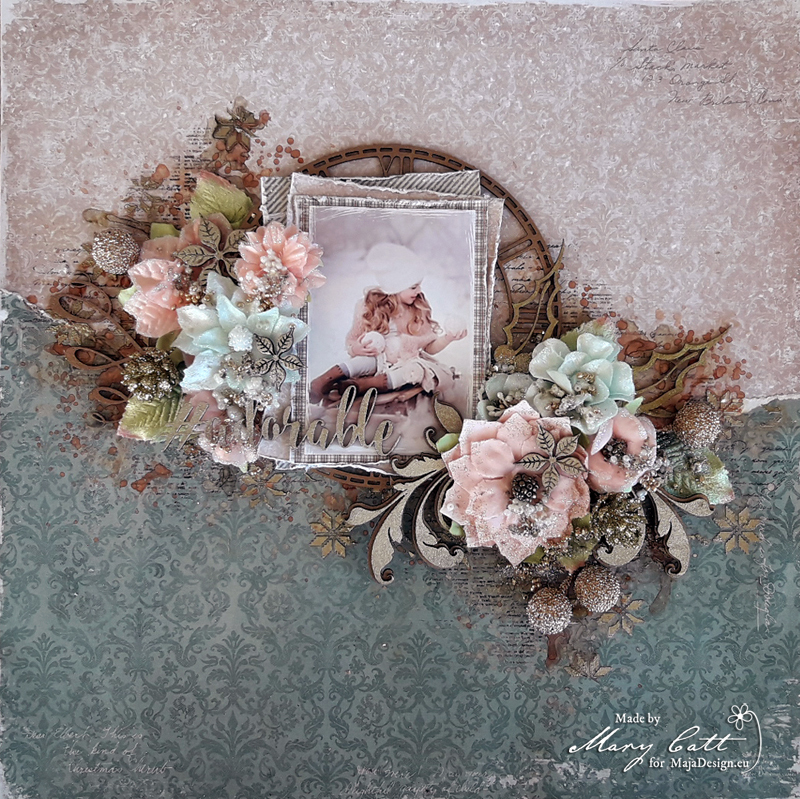 Behind my photo I used the ”Mistletoe Green”, the ”Trim the Tree” and the ”Greeting Cards” papers to add some layers. 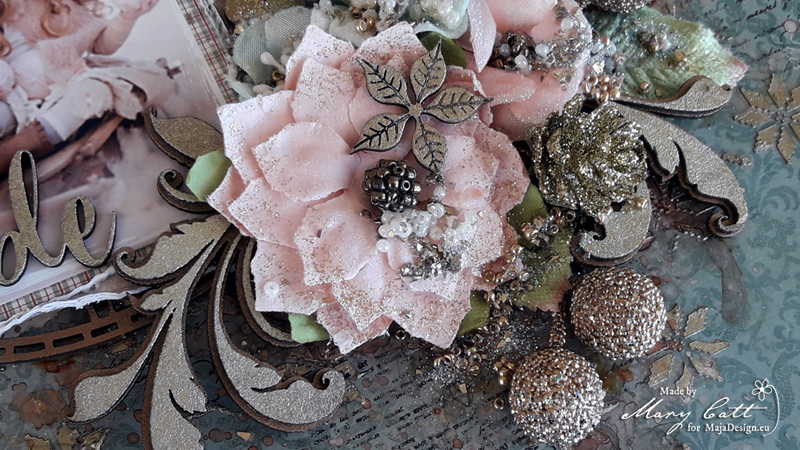 I started by applying a coat of clear gesso on the background paper and then I used an icing paste with a stencil to create texture. 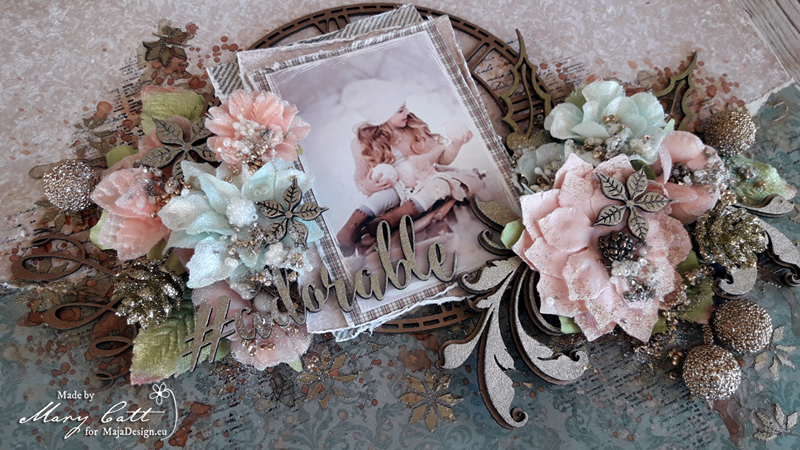 I made some stamping here and there and I used Lindy’s Gang sprays to add color. 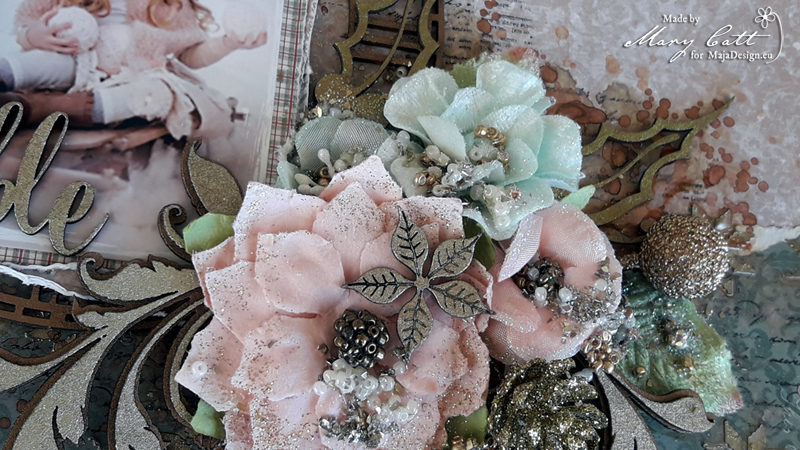 When everything was glued down I added some glass glitter and beads.